But for Reichardt’s characters, fulfillment is always just beyond reach. In “River of Grass,” a young man (Larry Fessenden) crashing at his grandmother’s house ignores the alarm clock in a mostly barren room, adorned only with a tattered American flag. Later, he hits the road with a bored housewife (Lisa Bowman), on the lam for a murder they didn’t commit, pursuing the romanticism of an escape. At the end of her long-delayed second feature, 2006’s “Old Joy,” Kurt (Will Oldham) is confused and frustrated as he wanders city streets, out of sync with his urban surroundings. Michelle Williams finds herself in a similar mindset during 2008’s “Wendy and Lucy,” where her character spends the whole movie searching for her missing dog in a quiet Oregon country town. The wandering settlers on the Oregon Trail in Reichardt’s ambitious period drama, “Meek’s Cutoff” (2010) are perpetually adrift on a road to nowhere, while the wayward eco-activists in “Night Moves”(2013), played by Jesse Eisenberg, Dakota Fanning, and Peter Sarsgaard, quietly contemplate their decision to bomb a dam as the noise of the explosion echoes miles behind them. Reichardt’s bumpy road after “River of Grass” has been well documented. After the movie’s strong reception at Sundance, she grew frustrated with the sexism of the film industry and infuriated by the challenges in trying to get another project off the ground. She settled into teaching film production (she’s currently an artist in residence in film and electronic arts at Bard College). More than a decade later, she effectively relaunched her career with “Old Joy,” a critically acclaimed character study that captured the alienation of liberal America in the age of George W. Bush. It was one of the great comebacks in American filmmaking, even as she continued to struggle with making movies on her terms. Neither “Wendy and Lucy” nor “Meek’s Cutoff” made an impact at the box office, and “Night Moves” wound up getting buried by its distributor, grossing only $786,000. “Certain Women” will receive a specialty release by IFC Films. 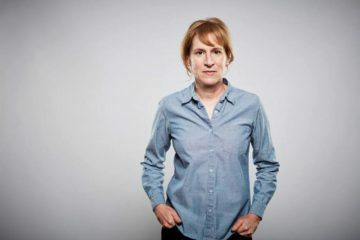 But to hear Reichardt tell it, she’d rather work in an arena of limited distribution possibilities than take a gamble on the bigger commercial industry again. “A long time ago, I felt like, ‘If you don’t want me, I don’t want you,’” she said, “so I’ve carved my way around it. But I haven’t made a living at it.” She laughed. Over the years, Reichardt has crashed with friends when not getting by in her small Manhattan apartment. “I’ve carved out my way to be able to make films, which was the goal,” she said. In person, Reichardt is very much like her movies: reserved, gentle, deliberate in her choices. This extends to her discussion of the more sensitive points in her career, especially the challenges facing women filmmakers that she has encountered for decades. Certainly not Reichardt, whose movies tend to ebb and flow at a patient rhythm that resists easy categorization. In “Certain Women,” Reichardt opens with a blatantly suspenseful encounter and then recedes from it. A no-nonsense lawyer (Laura Dern) must venture into a darkened office building to talk her client (Jared Harris) out of a hostage situation when he grows frustrated over a weak compensation settlement. The outcome is anti-climactic, much like everything that follows it. The second story finds a married couple attempting to convince an elderly man to sell his stockpile of sandstone for their new home, and they’re stuck between a desire to move forward and sympathy for his need to hold on to the past. The final drama — between the young lawyer frustrated with her long commute to teach useless adult education classes and the ranch hand whose main companions are animals — revolves around two people looking for little more than the comfort of company. But the payoff of “Certain Women” comes from the magic of its elegant pace and temperament, which bring clarity to people and places rooted in real concerns. Each time, the payoff comes. In “Certain Women,” Fessenden said, “there is that same quiet desperation in her characters that find in the other films: people not quite connecting and feeling left behind by the system.” That yearning owes much to the careful selection of settings, which consumes the bulk of Reichardt’s pre-production process. With Fessenden’s initial support, Reichardt spent time preparing for “Certain Women” in Montana, Idaho, and Oregon before finally settling on the first option. She spent a lot of time soaking in the vibes of the different places where her stories unfold. “I’d go to the mall and take pictures, see what people are wearing, or just go sit in a coffee shop and see what people were doing,” she said. That unorthodox trajectory defines Reichardt’s career as well. You won’t find speculative industry reports about her working on various television projects or potential studio deals that might leak out of meetings around town. She simply doesn’t work that way. When Reichardt knows what she wants to do next, she steadily gets to work on it. She shields herself from the glare of the industry, shrinking away when people try to take her picture at public events and almost never agreeing to television interviews. “Certain Women” screens at NYFF on October 3 and October 4. IFC Films releases it on October 14.